The Carver Voyager is one of our favorite Carver models. 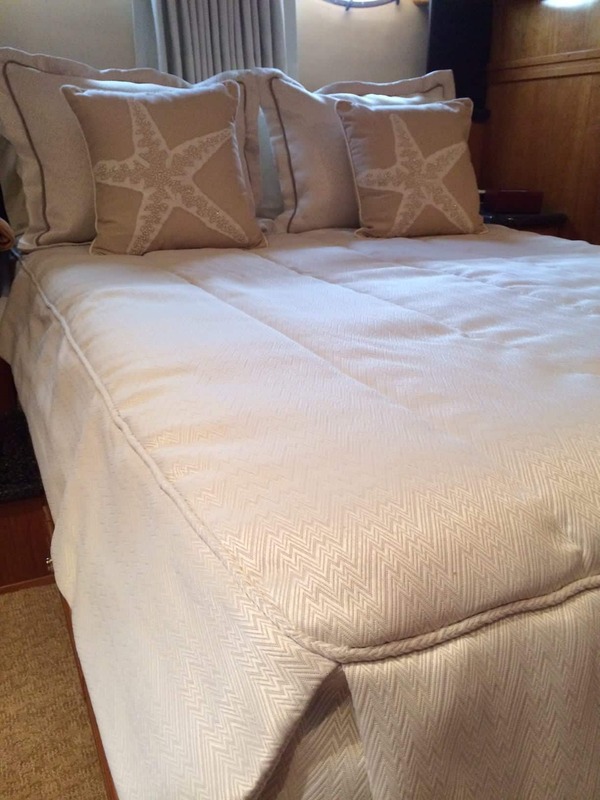 Classic interior, open space, beautiful wood and neutral tones so you can easily add new boat bedding. All colors work on this boat! We’ve done brights, classic nautical, and simple monochromatic tones. No matter what the choice is, it always looks great! 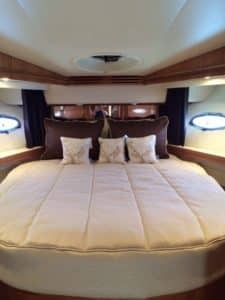 Upgraded yacht mattresses for the master and VIP seem to be a typical request for this boat, so we have patterns on file. let us know what colors you’d like to see on your Carver and we can help you dream up the perfect palette.